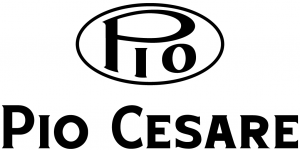 Pio Cesare own 70 hectares of vineyards in the hills of Barolo and Barbaresco, including some of the prime sites for growing Nebbiolo including 16 hectares of the ‘Ornato’ vineyard in Serralunga d’Alba and 10 hectares in Mosconi in Monforte d’Alba, two of the best vineyards in the Barolo area. In December 2014, just a few days before Pio Boffa’s 60th birthday, the family added Mosconi to their vineyard holding. Mosconi is thought to be one of the true “grand crus” of the commune of Monforte d’Alba, itself one the most prestigious areas within Barolo.Its soils and microclimates allow Nebbiolo to grow exceptionally well and produce styles of Barolo with great structure, incredibly unique and distinctive aromas, and big opulent tannins that are accessible and ripen, silky and rich. Adding this terroir to the family’s range offers an opportunity to strengthen, complement and enrich the style of the Barolo traditionally produced by Pio Cesare. The grapes are hand-picked. After pressing, the grapes are fermented in stainless steel at 25-27°C with skin contact for 30 days and aged in large Slavonian and French oak barrels and a small part in new barriquesmid-toasted French oak for 36 months. Only 5,000 bottles and 300 magnums were made.